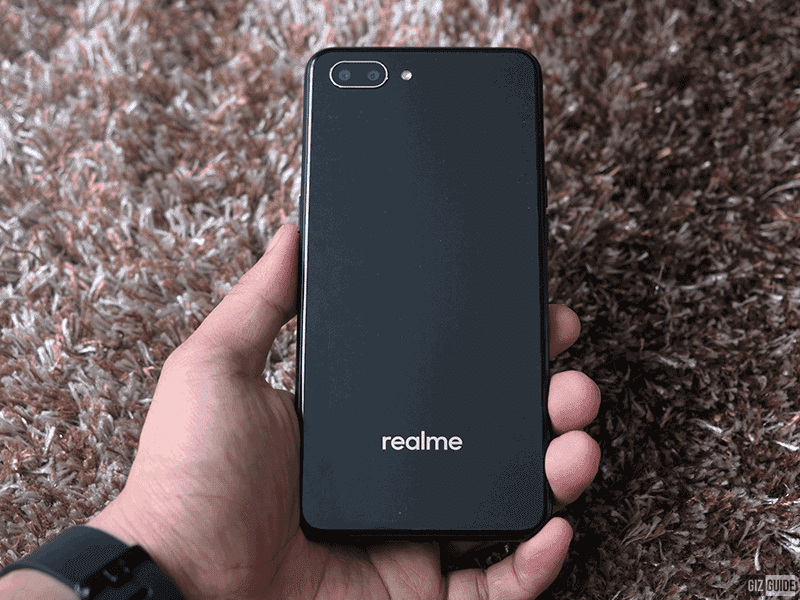 Realme Philippines has just announced the C1 smartphone that is poised to disrupt the expectations of what a super affordable smartphone can do! It features a huge 720p 6.2-inch curved In-Cell IPS screen that is powered by a 1.8GHz Snapdragon 450 octa-core processor, an Adreno 506, 2GB RAM, 16GB ROM and a humongous 4,230mAh. Right off the bat, it changes what you expect from a similarly priced phone! 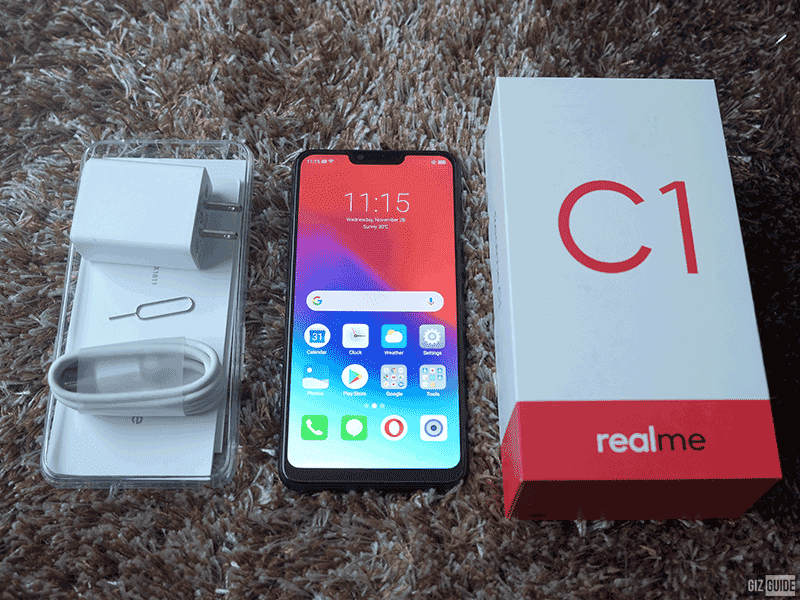 The Realme C1 arrived in a white and red box. Inside is the Phone, transparent jelly case, 5V/1A power brick, USB Type-A to micro USB cord, documentation and SIM tray ejector tool. The screen protector is pre-installed from the factory. The Realme C1 at first glance looks premium and looks more expensive than it actually is. But upon closer inspection, the textured frame is made of a metal like material while the back has a glass like material. Good build quality for the price! Only the front is made of glass. There is no indication whether it is protected by Gorilla Glass. Construction is more than decent considering its low price tag. The design reminds us of the OPPO A3s. It also has a big 6.2-inch 2.5D curved In-Cell IPS screen with a resolution of 1440 x 720 pixels and tall 19:9 screen aspect ratio. Close to premium design for a budget smartphone! We don't mind that this isn't the thinnest phone out there because having the large 4,230mAh battery is a welcome addition. To be fair, 8.2 mm is still considered as slim. The phone is also not that big despite the large 6.2-inch screen due to its slim bezels. It measures at just 156.2 x 75.6 mm. It is just as big as other phones with 5.7-inch screens in the past. 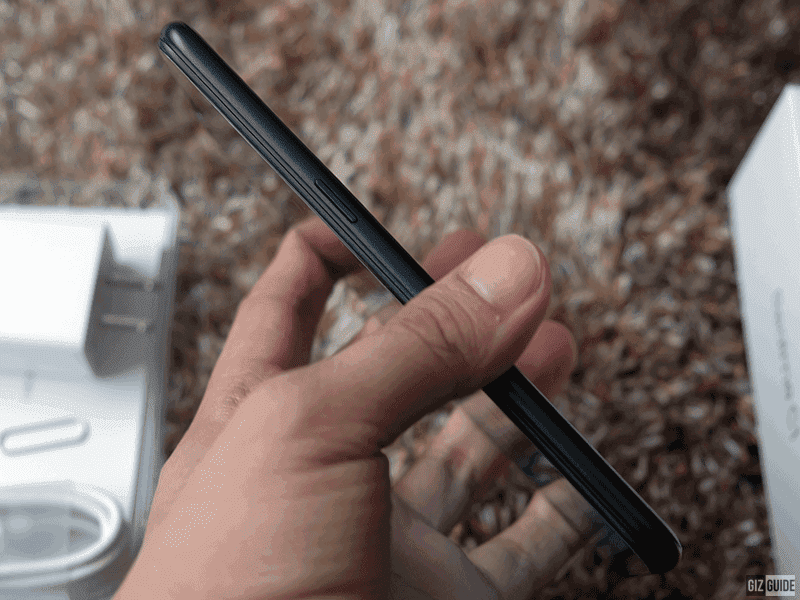 This handset even has a dedicated dual SIM and microSD card slots. 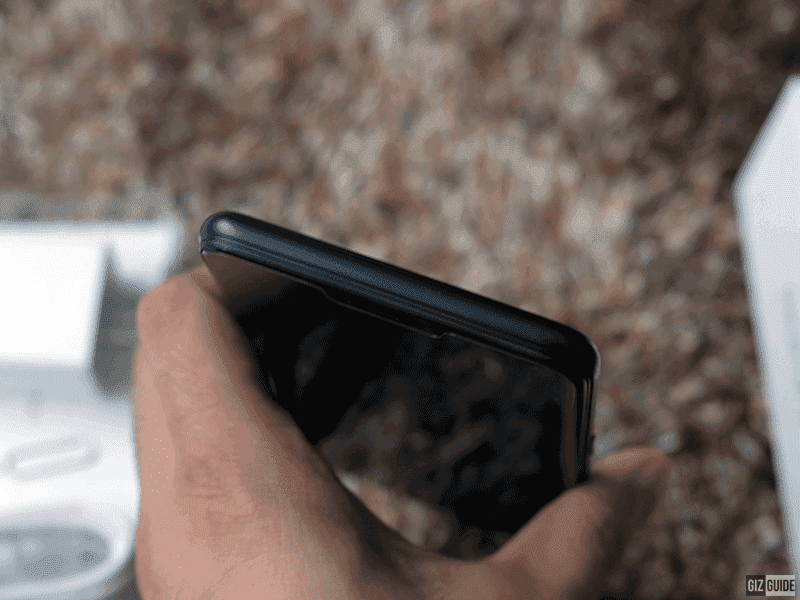 The textured metal-like frame adds friction/good grip that helps prevent the phone slipping from your hand. 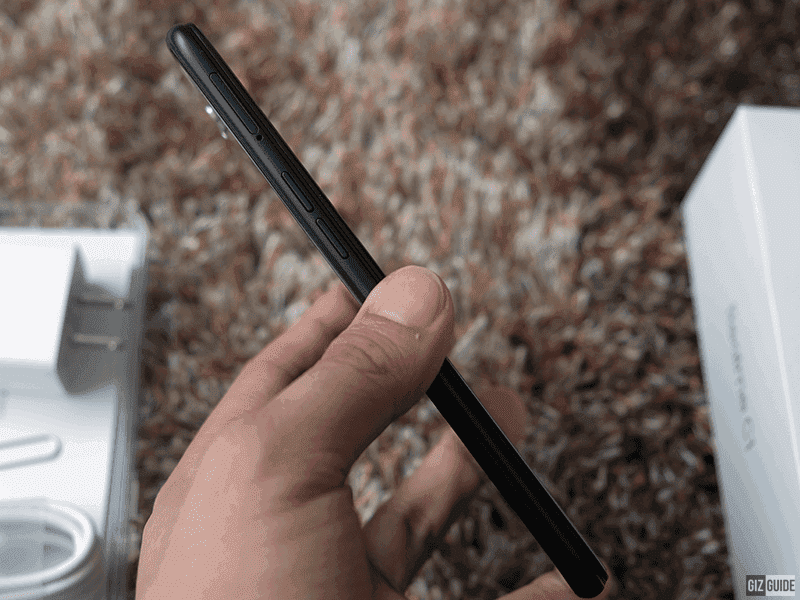 The overall size of the phone is just enough for our hands that made it feel good to hold. The phone has good amount of heft. It weighs at 168 grams. 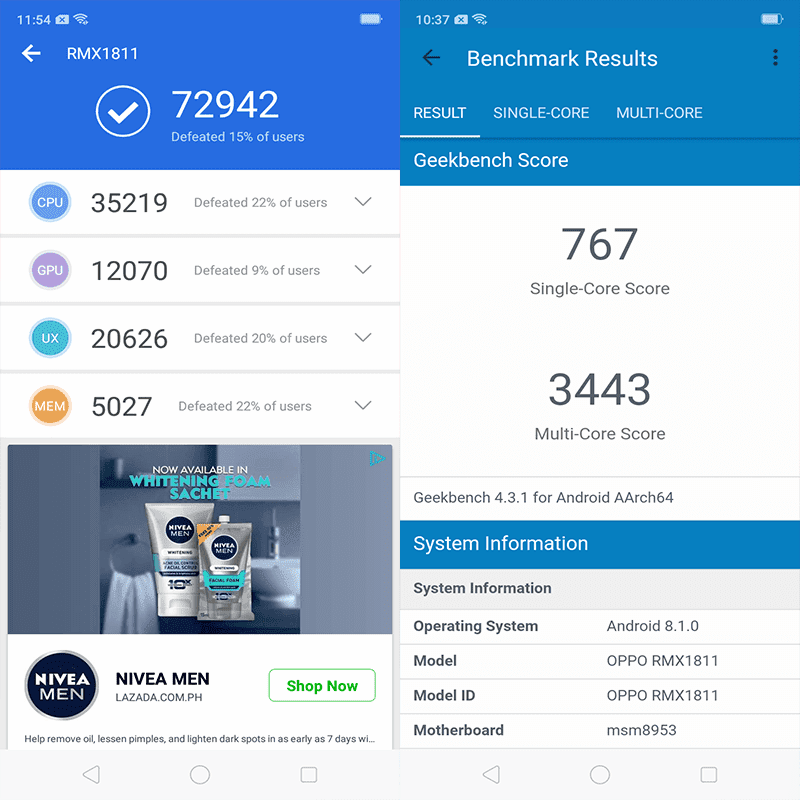 Nice benchmark scores for a budget phone! The large 6.2-inch 720p+ IPS display is bright and saturated with thin side bezels and thicker chin bezel with a notch on top. 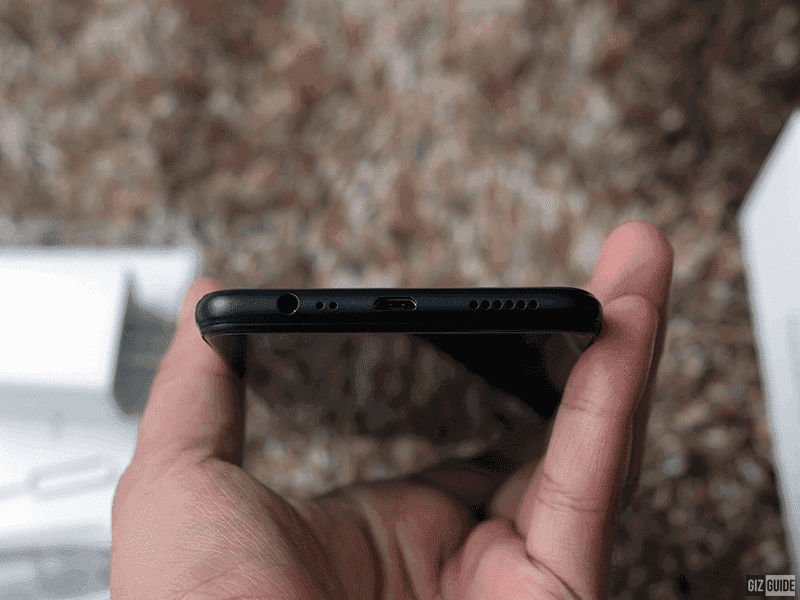 The notch houses the earpiece, sensors and the selfie camera. 2. Inside is a 1.8GHz 64-bit Snapdragon 450 octa-core processor with Adreno 506 GPU, 2GB RAM and 16GB ROM that is powered by a 4,230mAh. This makes it one of the largest battery capacity phone for its price. It runs on ColorOS 5.1 based on Android 8.1 Oreo! 3. 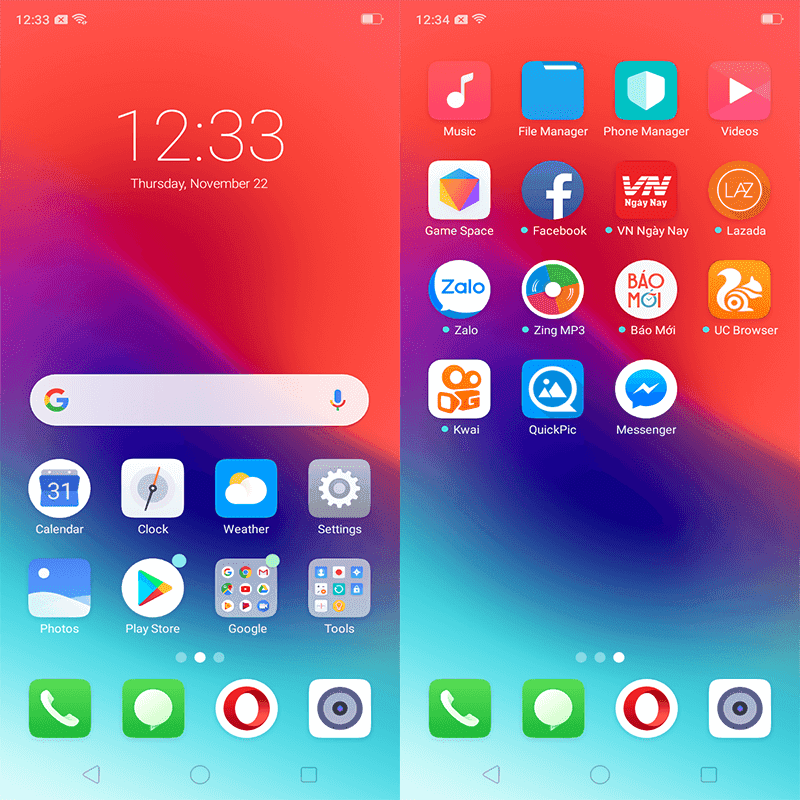 The Realme C1 runs on Android 8.1 Oreo based ColorOS 5.1 skin. ColorOS has always been a version of Android that you either you liked or you didn't. It has gotten better with better Google services integration and western UI influences. 4. The rear camera is a dual lens set up of a 13MP f/2.2 and a 2MP f/2.4 with LED flash while the selfie camera is a 5MP f/2.2 that supports AI Beauty 2.0. The camera app has the photo, video, time-lapse, sticker and pano modes. Features like HDR, AI Beauty and Depth effect are also available. 5. There's LED notification and Face Unlock but no fingerprint sensor. Other sensors includes light, accelerometer, proximity, gyroscope and sound sensors. There is OTG support as well. The Realme C1 has drastically improved the expectations of a phone at the entry-level. It features near premium design with decent specs, storage, and processing power that you normally would find in higher priced phones. It is looking to be the one to get at its price point. Of course, we will have go deeper and do more testing to see if this phone can really perform in all aspects. 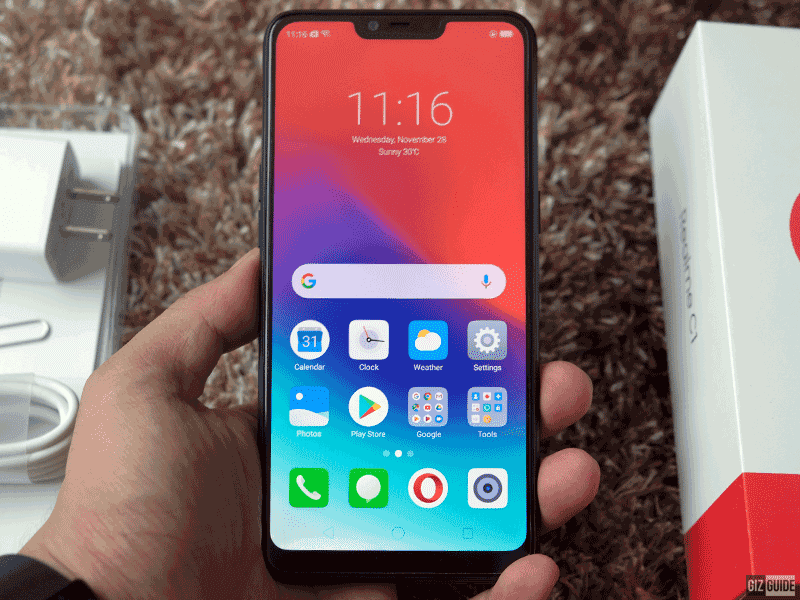 The Realme C1 is officially priced at PHP 5,990. But, it will also be available on a flash sale for just PHP 5,490 at Lazada on December 5, 12NN.